The increased demand for advanced technologies has driven research forward in the development of novel functional materials with controlled structure and properties. In this context, intrinsically conducting polymers (ICPs) and nanostructured conducting composites have gained great attention in past decades due to their electrical, optical, and magnetic properties associated with their flexibility, light weight, and processability. Great efforts have been made in controlling the structure of ICPs in order to improve their properties for advanced technological applications. Strategies to disperse conducting polymer-nanoparticles into an insulating polymer matrix have been also employed to develop high-performance materials for electromagnetic shielding applications, antistatic and corrosion coatings, optoelectronic displays, sensors, actuators, scaffolds, neural electrodes, drug delivery, etc. 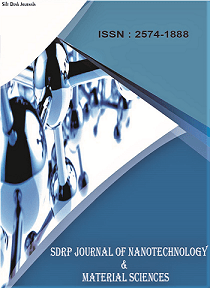 Based on the above, this Research Topic focuses on the latest advances and developments in the field of intrinsically conducting polymers (ICPs) and their composites. This Research Topic welcomes Original Research, Review, Mini-Review, and Perspectives.